The PHP mail service does not support SMTP authentication, which is required by many mail servers like Gmail and Hotmail. Since SMTP requires a valid login to send the mail, the headers match the rDNS records allowing a flawless delivery thus making SMTP the preferred method when sending mails. 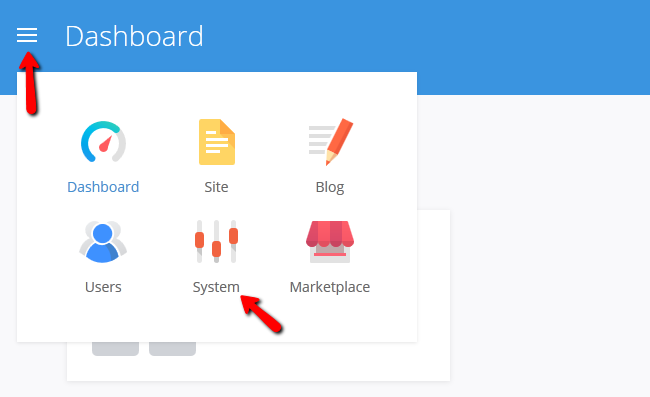 To Enable the SMTP service for your Pagekit based website, you will need to login to your admin dashboard and select the System section. From here you can navigate to the Settings>Mail menu. 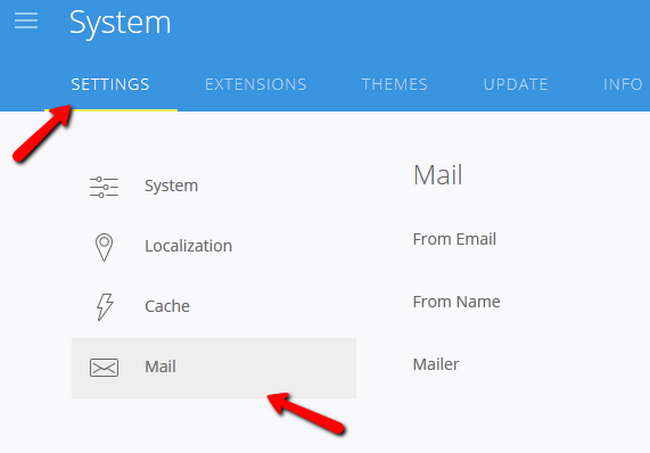 Now you will need to select the SMTP service from the Mailer drop-down menu and configure the service. When you are ready with the configuration, you can check if the connection is being established correctly by clicking on the Check Connection button. 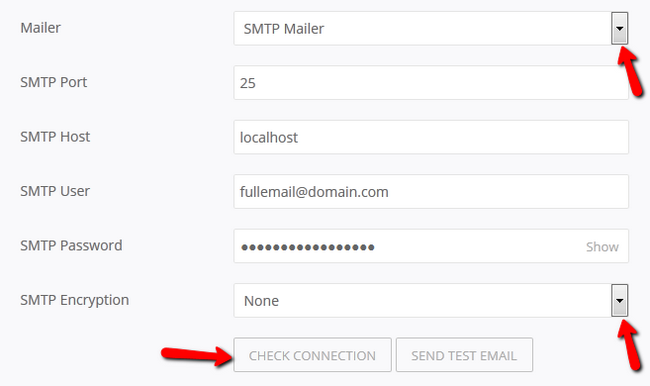 After a few seconds you will receive a pop-up regarding the connection to the SMTP server. Now you can send a test email to check if it is being received by clicking on the Send Test Email button. Congratulations, you have successfully configured your Pagekit website’s emails through the SMTP mail service.